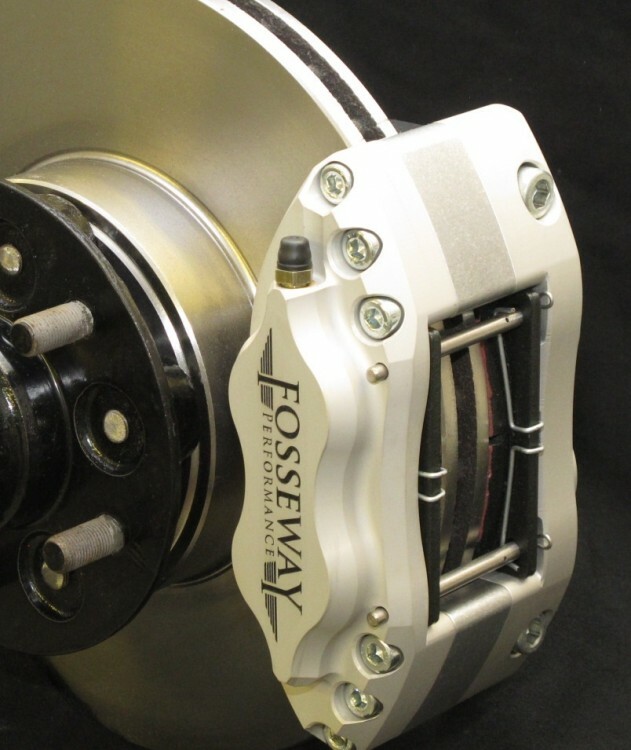 The Fosseway Performance Jensen 541S / CV8 Vented Brake upgrade is intended for cars originally equipped with solid disc brakes. It will significantly improve the way your car looks, feels and stops. The new light weight aluminium 6082 T6 billet caliper weighs significantly less than the original cast iron caliper. This improves wheel control by reducing your cars un-sprung weight and all our calipers are carefully sized to ensure they are 100% compatible with your existing hydraulic system. Specially manufactured 22 mm vented discs which will dramatically improve your braking systems ability to dissipate heat, avoiding brake fade and disc warping.